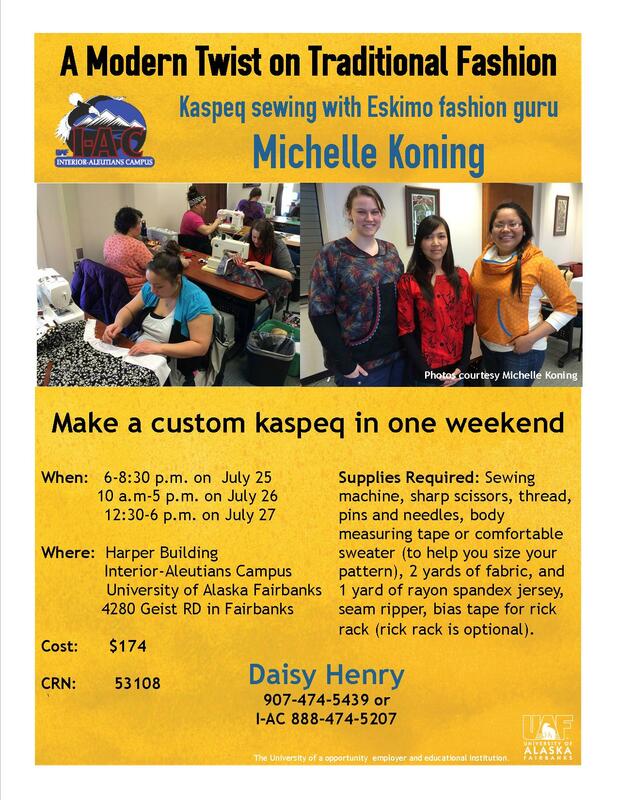 Below is a flyer showing a great opportunity in Fairbanks to learn how to make a modern-day kaspeq! The workshop will be held July 25-27, 2014. For more information contact Daisy Henry at 907.474-5439 or 1.888.474.5207. YOUTH DO NOT NEED TO BE INCOME ELIGIBLE TO ATTEND THIS EVENT. If youth are working under the SYEP and ASAP program they will still be paid wages that week while attending the academy. If there are any questions, contact Katina Charles, Youth Manager, Employment & Training at 907-452-8251 x 3353 or katina.charles@tananachiefs.org. The AAIP and the University of Minnesota School of Medicine invites all American Indian and Alaska Native students interested in pursuing a career in medicine or allied health to attend their pre-admission workshop where they will cover an overview of the MCAT exam, the application process, and discussions on selecting the right school and financial aid resources. Participants will also interact directly with physicians and current medical students. Scholarships are available to cover the cost of attending the workshop. Workshop dates are July 22 — 23, 2014 and will be held in Denver, Colorado. The application deadline is Monday, July 7, 2014. Download the application here and email complete forms to glankford@aaip.org. For more information, please contact AAIP at 405-946-7072 or email Gary Lankford at glankford@aaip.org. The George Washington University’s Native American Political Leadership Program (NAPLP) offers full scholarship to Native American, Alaska Native and Native Hawaiian undergraduate and graduate students to study applied American politics as part of the semester in Washington Politics program at GW. Funded by a generous grant from the AT&T Foundation, the scholarship includes up to nine credits in tuition, on-campus housing, round-trip air travel and a stipend for books and living expenses. During this program students will learn how public policy decisions are made, how power is wielded, how government is run and how democratic politics function in a free society. This program involves rigorous coursework in applied politics, hands-on professional internships, development of relationship with mentors, and interaction with Washington’s political and policy decisions-makers and leaders in the Native American political community. The Application DEADLINE for the Spring 2015 program is October 15, 2014. More Information: Please contact NAPLP Office at 202-994-3284 or at naplp@gwu.edu. Elias Saylor recently joined Doyon Foundation as a summer intern with the Language Revitalization Program. 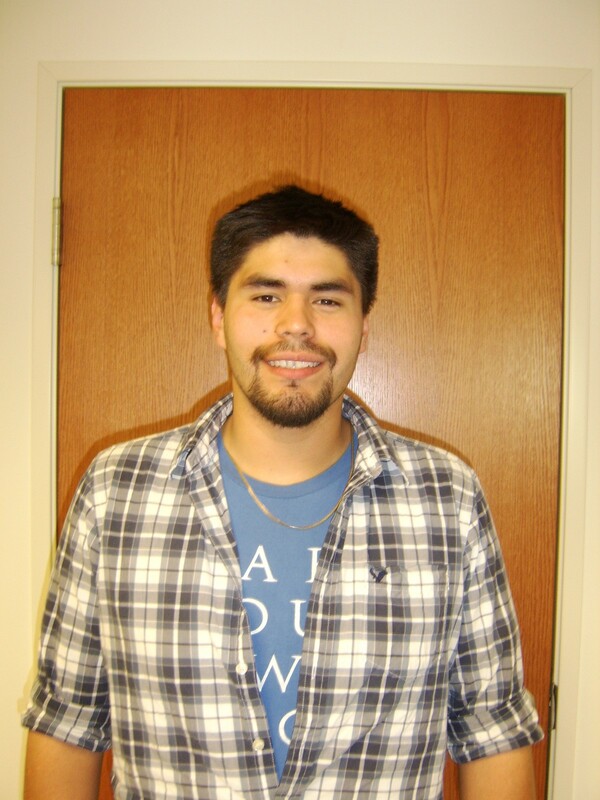 Elias was placed at the Foundation through the First Alaskans Institute summer internship program. Originally from Healy Lake and Tanana, Elias has been living in Fairbanks since 2005. He is the son of Ben Saylor of Healy Lake and Maureen Walsh of Tanana, and was also raised by his stepmother Karen Saylor of Stevens Village. “As someone who grew up with a strong cultural upbringing, I encourage Alaska Native people to learn their culture, especially their language, and also am a strong believer in First Alaskans Institute’s (FAI) mission of advancing Alaska Natives and doing so through placing young Native leaders with partner organizations to help complete that mission within their communities. Being accepted into the FAI summer internship program, as well as being placed with Doyon Foundation in the Language Revitalization Program, is a great honor to me and I’m proud to be a part of it,” Elias said. Elias attends the University of Alaska Fairbanks, where he is a senior in the Rural Development Program, with a focus on indigenous knowledge. “While interning with Doyon Foundation working in the Language Revitalization Program, I’m hoping to learn new ways to encourage and spark peoples’ interest in learning their Native language so I may take what I’ve learned and apply it to my own family and community as well. For me, this will be a great addition to my rapporteur of leadership skills. Also I’m hoping to gain more work experience and increase my network in the professional workplace,” he said. The objective of FAI’s summer internship program is to help develop Alaska Native leaders. This year marked the 11th year of the program for Alaska Native undergraduate/graduate students. Since inception, the 10-week summer session has placed well over 200 interns with more than 100 employer hosts, including Doyon Foundation. More information is available at www.firstalaskans.org. Has a major role in evaluating the company’s total compensation in the context of the company’s financial, employment and other objectives and takes action or makes recommendations to executive management, as appropriate, regarding program design, scope, and management. Assists in analyzing the competitiveness of the company’s base pay in local, regional and national markets and in the context of total compensation, develops recommendations for pay structure adjustments and annual pay budgets, and manages the execution of approved pay structure movements and annual pay budgets. Implements and administers incentive variable pay programs for key areas, including both represented and non-represented positions, to align these employees’ pay with company objectives; partners with different business units to administer pay and benefit program elements, including budgeting, communications and payments; recommends adjustments and new programs to maintain alignment with and further the company’s objectives to retain and productive and engaged workforce. Implements and administers various equity compensation programs for all company employees, to include stock options, restricted stock, performance shares, and other plans; manages the critical administrations of these stock plans, to include communications, vesting, transactions, vendor program performance, and program effectiveness. Evaluates and recommends revisions and enhancements as appropriate and implements approved changes. Implements and administers the company’s benefit programs, including various pension retirement plans, health and welfare plans, 401K plan, income replacement programs, an education assistance program, an employee assistance program and other plans. Implements departmental self-audits and necessary process changes to ensure data entry and report information is error free; directs development of various departmental and company metrics. Ensures all company policies and procedures applicable to compensation and benefits are correctly documented, approved and updated as necessary, ensuring internal consistency and continuity, as well as compliance with various laws and regulattions, FLSA, EEO, Sarbanes Oxley, and SEC requirements, as required. Leads and/or actively participates in formal and informal cross-functional workgroups to improve both Human Resources and company processes. Provides leadership, motivation, direction, instruction and assistance to assigned HR Team members. Sets performance goals for assigned HR staff and continually provides feedback regarding actual performance in comparison to individual, HR Team and company targets. Provides guidance to correct off target behavior and when appropriate initiates disciplinary action. Actively plans and assists developing job growth opportunities for HR Team members that also strengthen the HR funtion. Ensures adherence to the company’s policies and procedures. Develops and maintains a positive work environment free of harassment and other inappropriate behaviors. Identifies workplace problems and takes corrective action in accordance with company policies, procedures, and guidelines. This position manages and motivates the HR Team members who provide the company’s daily compensation, benefits, and stock plan operations and administration, and works frequently with other HR Team members, executives and employees. Direction of daily activities is minimal, as priorities are set out in written goals with the expectation that the incumbent can direct and perform the job, using the executive and upper management as resources for unusual or sensitive situations. When provided direction, the incumbent is expected to exercise the necessary skills and judgment to complete the tast or project satisfactorily. Management Skills – Ability to organize and direct oneself and effectively supervise others. Three to five year of experience required, to include two years of direct compensation and benefits progressive experience at the Analyst level or above. Familiarity of HRIS programs and systems is preferred. Critical thinking and analytical skills, ability to develop mathematical models; ability to develop and make presentations to all levels of employees including senior management. The Native American Journalists Association (NAJA) supports Native journalists, advocates for better representation of Native Americans in the media, and supports Native students pursuing journalism degrees. The NAJA Scholarship is open to high school seniors who have just graduated, as well as undergraduate and graduate students. Students must be current NAJA members and be pursuing a career in radio, television or print journalism. Scholarships range from $500 to $3,000. Visit the NAJA website to learn more about membership fees ($10 for high school students and $20 for college students) and reasons to join. There is still time to apply! The 2014-2015 NAJA Scholarship deadline has been extended to June 20, 2014! The application is online, click here to view the application and scholarship requirements. For questions or inquiries about scholarships or other student-related programs, contact NAJA at 405-325-1649 or email rebeccalandsberry@naja.com.